When Cate Blanchett won the Best Actress Oscar for her title role in Blue Jasmine last night, she couldn’t help but mention how incredible this honor is, not just for herself, but for all women in this field. Being a filmmaker myself, it’s also become my life’s work to create films and video storytelling that feature women and demonstrate their strength & depth. And that’s precisely why I created Tough Cookie too, as a brand and name that I plan to embody in all of my film work and beyond, and encourage other women (and men) to do as well. Because films (and other mediums) that feature women at the center are NOT niche! They are broad-reaching, and widely appreciated, and most certainly business-viable. 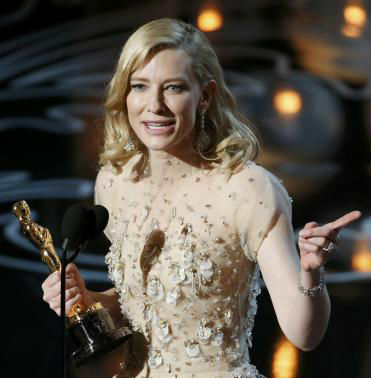 Thank you Cate Blanchett for reminding us of that in your greatest moment of triumph. Now that’s a Tough Cookie!